January 14, 2014 -- On March 19, 2010, 22 year old Catherine DiGiovanni's car was struck by a drunk driver as she drove to Sea Cliff to visit her parents. The injuries suffered by Ms. DiGiovvani were so severe that doctors gave her only a 5% chance of surviving the next 72 hours. After emergency surgery, she pulled through, but the expectation was that she would never walk or talk again. 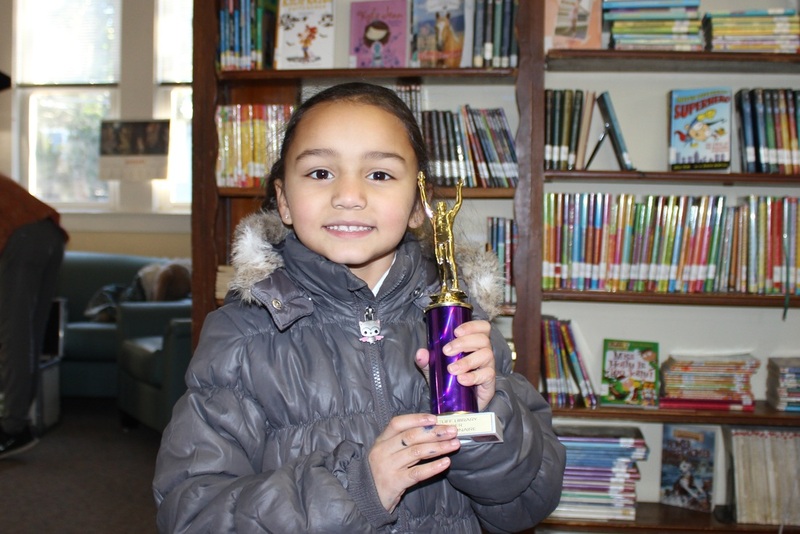 Isabella Whalan, a first grader in Ms. Miller's class at Sea Cliff Elementary School, was presented with a trophy this past Thursday afternoon at the Sea Cliff Children's Library for having read 50 books. The library celebrates a love of reading by awarding young people with a medal for having read 25 books, a trophy for having read 50, and the title "Reader Extraordinaire" along with the designation engraved on a trophy for having read 50 books from nine different categories including novels, biography, history, art, and sports. This is an ongoing program coordinated by Children's Library Director Ann DiPietro. 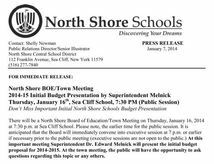 January 12, 2013--North Shore Schools Superintendent Dr. Edward Melnick will be presenting his initial budget proposal for the 2014-15 school year at this Thursday evening's Board of Education meeting. Although the spending plan is being developed at a time of potentially significant financial challenges, the fiscal outlook has also brightened considerably over the last several months. A film crew from the healthcare communications giant GolinHarris flew in from the Midwest this past Thursday to shoot an internal video for the manufacturers of the pain medication Ventura. The stars are Sea Cliff residents Alicia Cardoza and her son Henry who were filmed inside of the Sea Cliff Children's Library. In the video Ms. Cardoza explains her experiences in dealing with a very severe level of pain known as "break through pain" as a result of a facial neuroblastoma, and how she has benefited greatly from the medication. Ms. Cardoza said that she is "thinking about writing a book" about her healthcare experiences. Thurs. 1/30 - Sea Cliff-Glen Head Lions Club Presents: Put Your Game Face On, Metropolitan Bistro, 7 pm. Click on image to enlarge.